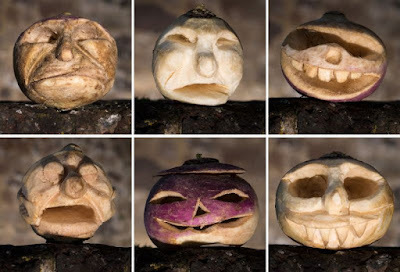 All Hollow’s Eve: More than just Amok! Amok! Amok! The spookiest day of the year is right around the corner and it has me wondering about the roots of the celebration and how to enjoy the festivities in a more traditional way – sans human sacrifices, of course. Luckily I was able to borrow "A Witch’s Brew" by Adelma Simmons from Susanna Reppert and found plenty of fun crafts to keep traditions alive and the witches at bay. Halloween was created from a more ancient druid holiday called Samhain where it was said the more mischievous and malevolent spirits would be allowed on earth for one night of revelry. 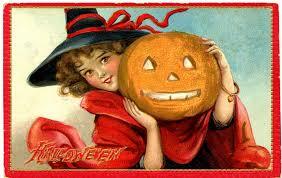 This inspired many protective and preventative traditions that we still use today as decoration for Halloween. Turnips were the vegetable to carve before pumpkins. This photo courtesy of Yahoo News. Wreaths and swags were often placed on doors to keep wicked spirits, witches, and other spooky creatures from entering the home. 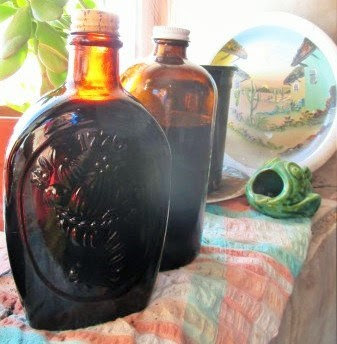 The ones we use now often mirror ones of old in design, herbs used, and even meanings (depending on the home). Elder, alder, and mountain ash branches and twigs were used as the base for the wreath and then decorated with ferns, bayberries, rowan berries, valerian, vervain, and even yew berries to make the wreaths stand out. These wreaths were thought to help or hinder witches depending on their intention and practice. 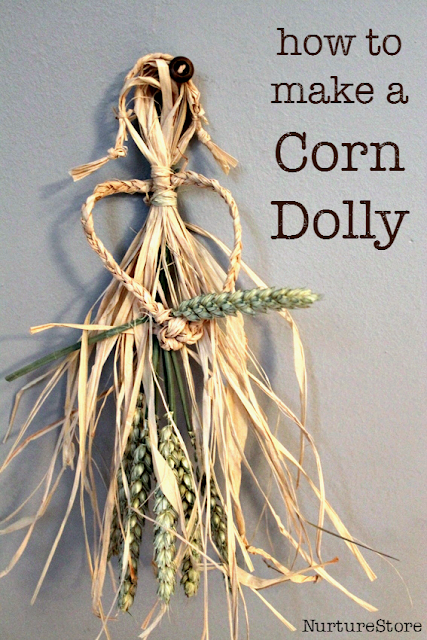 If you have little ones who are helping you decorate, corn dollies can be a great craft for them. Corn dollies have been hung from ceilings for hundreds of years and can add playfulness to the holiday. To create more traditional dollies use blue and purple (witches’ favorite colors) instead of the regular orange and black. Don’t be afraid to use other materials and colors, however. Dollies are supposed to be adorned with fun fabrics and designs. Even a little glitter can’t hurt! If you want to adorn more than just your home for the season, decorating your garden or creating a “Witches Garden” can be fun for the whole family. Witches gardens differ if they are for a white witch, black witch, or the devil himself. 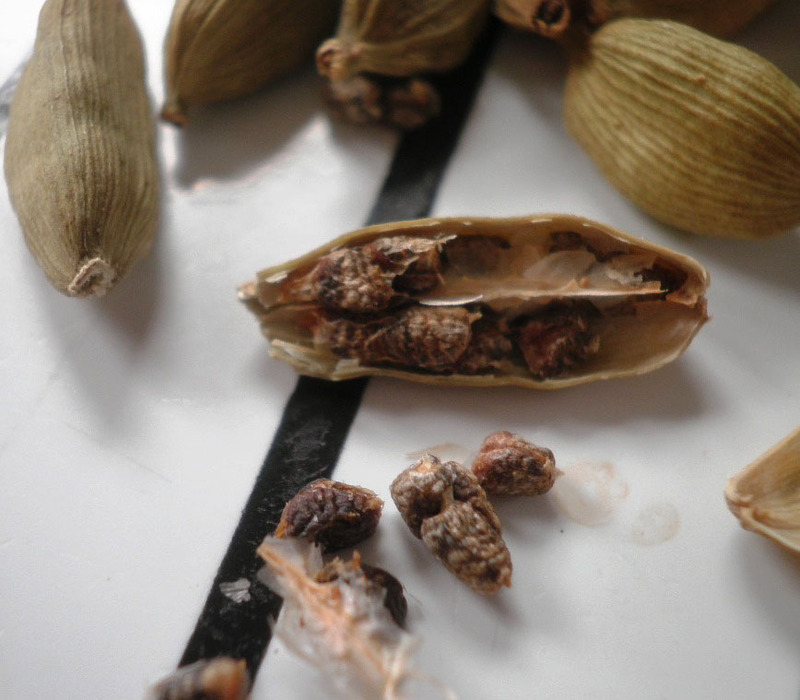 Devil’s gardens were actually a tradition that started from farmers. By giving the devil a portion of farmland that remained wild it would keep him away from the crops and the home - giving the devil his due. Black witches would use plants for poison or other dastardly deeds. If you decide to plant a black witch’s garden or decorate yours with such plants be sure to keep plants away from pets and to wait until your children are at least twelve so they will understand why they cannot consume or use the plants. Always be sure your younger family members tend to the garden with supervision as well. 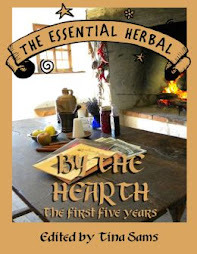 Traditionally bad witches’ gardens contained malicious plants such as deadly nightshade, daffodil bulbs (poisonous to ingest), rue (a skin irritant), and several elder trees, said to harbor witches and having poisonous leaves, branches, and roots. 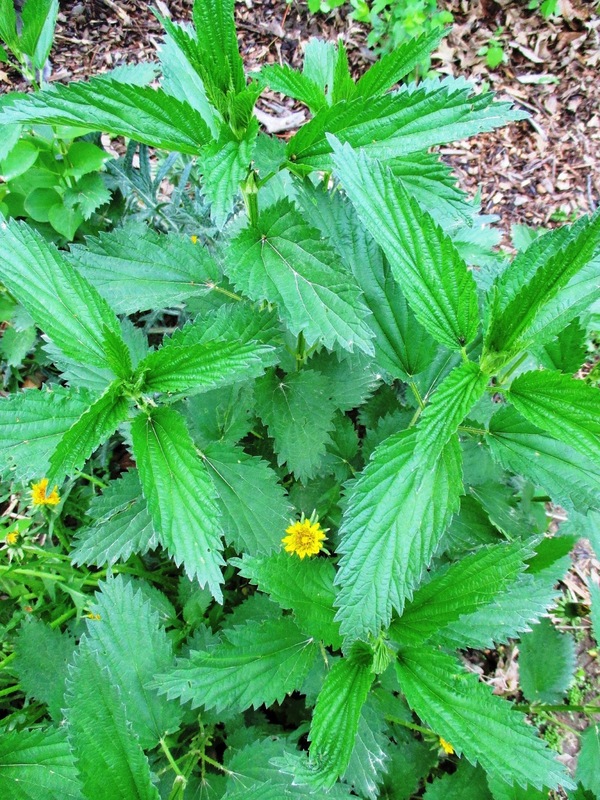 The garden may also have nettles, a stinging and irritating plant, and lily of the valley which is also called "poisonous root." 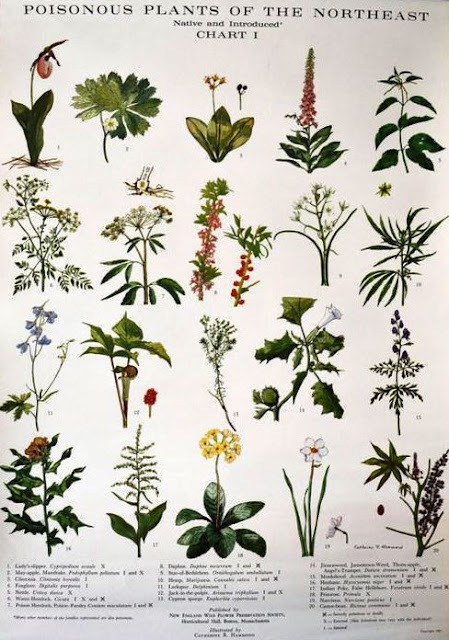 Some of these plants can also be found in the white witch’s garden as well. 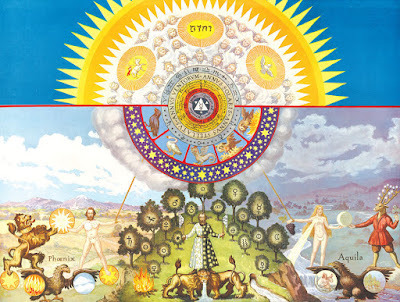 While they may be in her garden they are used for good instead of evil. You should still supervise children or pets while they are in the garden to avoid sickness. 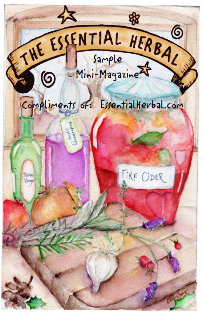 Unlike a black witch’s garden, however there are plenty of great herbs you may already use in your home. Plants such as yarrow, borage, plantain, St. John’s wort, and elecampane can help your family throughout the year as well as add some festive color, aroma, and structure to your fall decorations. 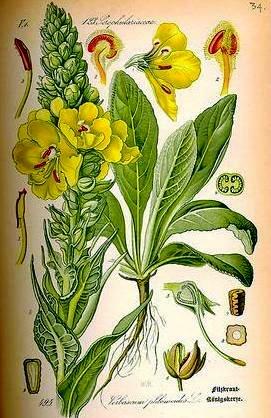 With both the black and white witch gardens be sure to put a cauldron inside, with mullein plants on the four corners to light – this way the witch can always see what’s brewin’. After the festivities are over be sure to harvest properly. Always ask and thank your elder plants before and after pruning and harvesting and set out a loaf of fresh bread for the witches so they will not spoil your harvest. 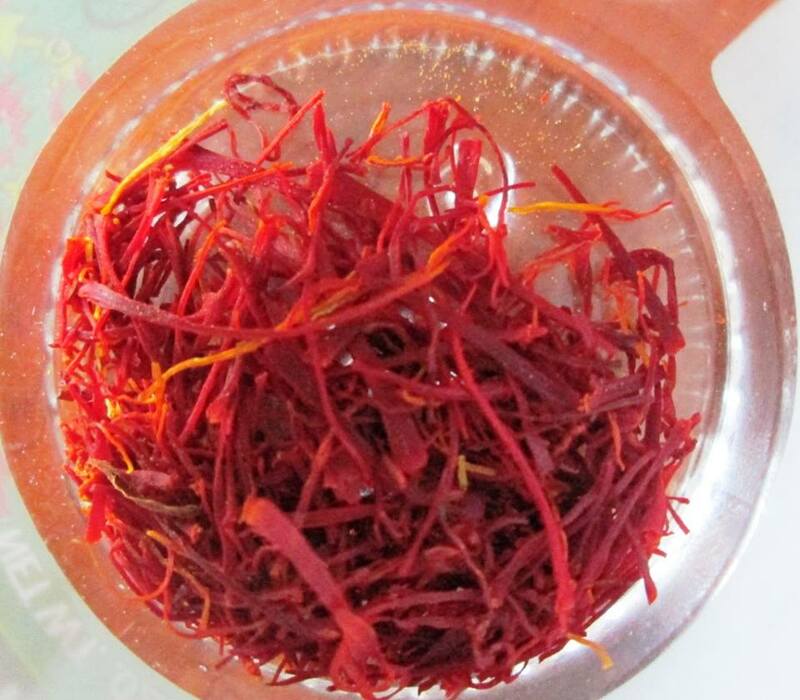 Commercially cultivated in Span, saffron can be grown in all temperate climates. 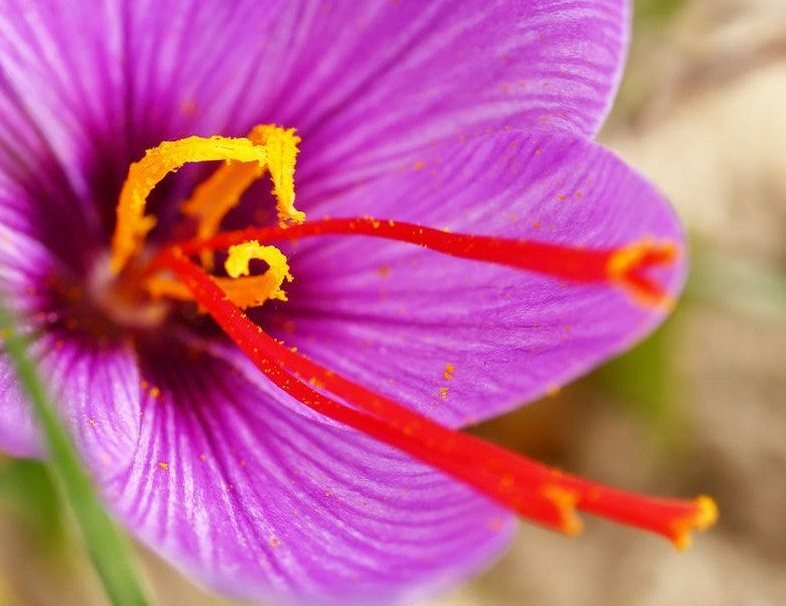 It is a fall blooming crocus (Crocus sativus) which is planted in spring or summer to bloom next fall. The harvest is the little orange stigmas, three per flower, which accounts for its costliness. More than 200,000 stigmas make a pound of saffron , all laboriously picked by hand. Once the herb of only wealthy, thrifty Pennsylvania Dutch ensure their supply of this distinctive seasoning by growing their own. Saffron is easily grown in any sunny well drained garden where it enjoys an occasional feeding of bonemeal and compost and soon forms a colony of little productive bulbs. Plant the corms two inches apart and three to five inches deep in average well drained soil but – a word to the wise – mark the spot! 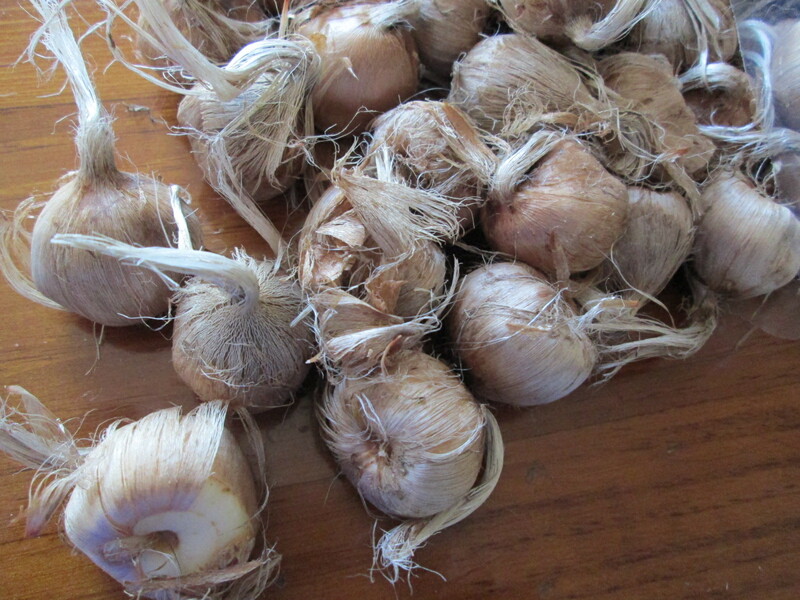 The bulbs are dormant most of the time and vulnerable to over planting or inadvertent weeding. 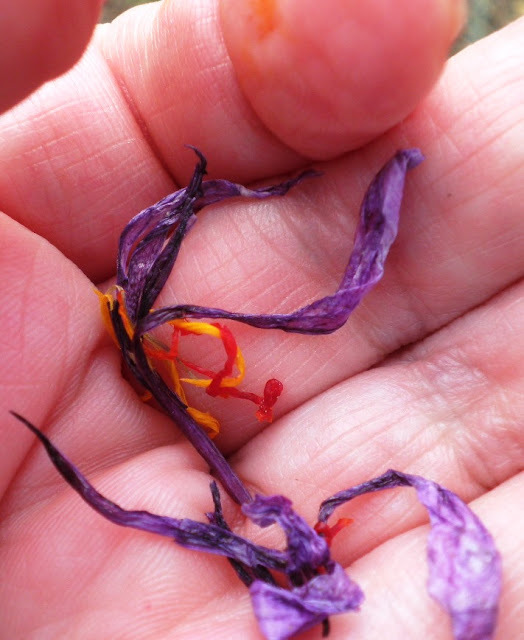 When the small lavender crocus like flowers appear (they open only in sun) harvest the orange stigmas, air dry them on a sheet of white paper and then store your precious saffron in a tightly lidded dark glass bottle. 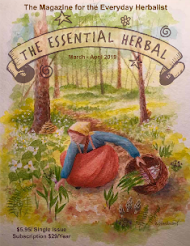 Subscribe to The Essential Herbal Magazine today! For all of us, it's hard to look at things from the other side. The other day a guy was working here on the house, and I wound up telling a story I'd forgotten all about. Seems like a good time to share it here, too. Remember this? 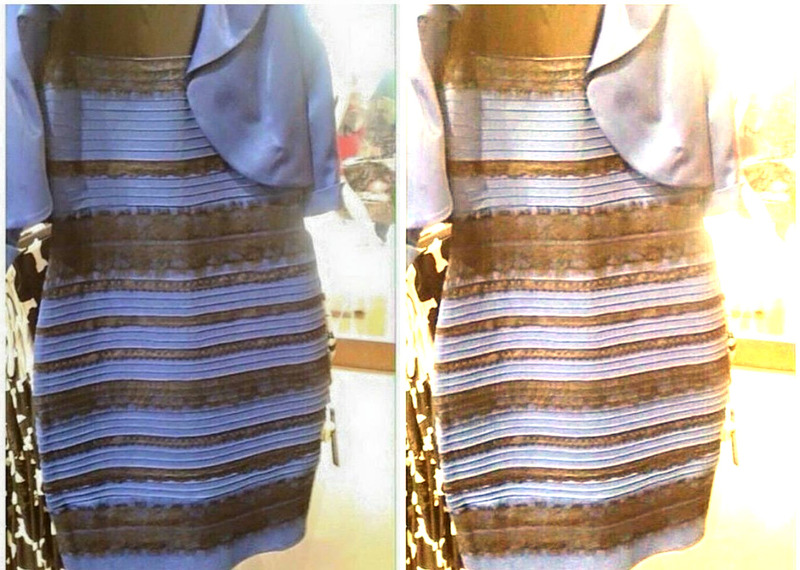 Some people saw blue/black, some saw white/tan. 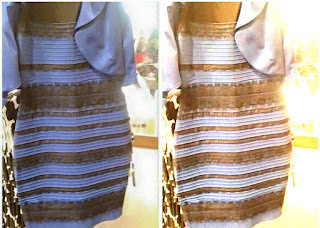 Same dress. The last few years of high school, after the bus picked up a bunch of us near my house, it traveled a couple of miles before the final stop for one lone girl. By the time we got there, everyone had stretched out across their seats, taking up the whole thing, and when she boarded, they wouldn't make eye contact, forcing her to ask them to let her sit. After watching this a few times, I started picking up my stuff before we got to her house, and making her welcome to sit with me. I would have hated to start every day facing a busload of people who made me ask for a place to sit and felt uncomfortable for her. We sat together for at least a year. Probably 10 years later, I ran into her at a party where she had been... shall we say... a bit longer than she should have been. When she saw me, she loudly and proudly proclaimed to the whole party that nobody would sit with me on the bus, but she felt sorry for me, so she'd sit with me. You know what they say... "Don't do things for people for their gratitude." GOT IT! So... yes, my feelings were hurt, but the real point of this story is that neither one of us could imagine what the other one was thinking OR experiencing. I still believe that if she'd given it a moment of thought, she'd have figured it out, but as is human nature, she felt that she had done a good deed, as did I. ... and that's how it works. We will each always see our own side of things more clearly. None of us like to give ground and admit that the other person has a point (even if we don't agree with it). Although this issue fell together perfectly, and is (as usual) filled with really wonderful things, it was the most challenging we've had in well over 10 years. 2 computers acted up, one lay-out artist skated across her kitchen floor on her elbow and ankle, a couple issues with the print and mail, and then fires in CA messed with the IT guy's abilities to update the site. BUT IT IS HERE! Whew! Get ready for some warm and cozy holiday treats. It's been one heck of a growing season. Mmmm... beautiful with or without scent, these ornaments will brighten your home. Such a delicious, warm, and fragrant spice. We love it! Try the gingersnaps, syrup, and chai recipes included. Something fun to make with the kids. Give some thought to what went right, what went wrong, and what you'd like to change. 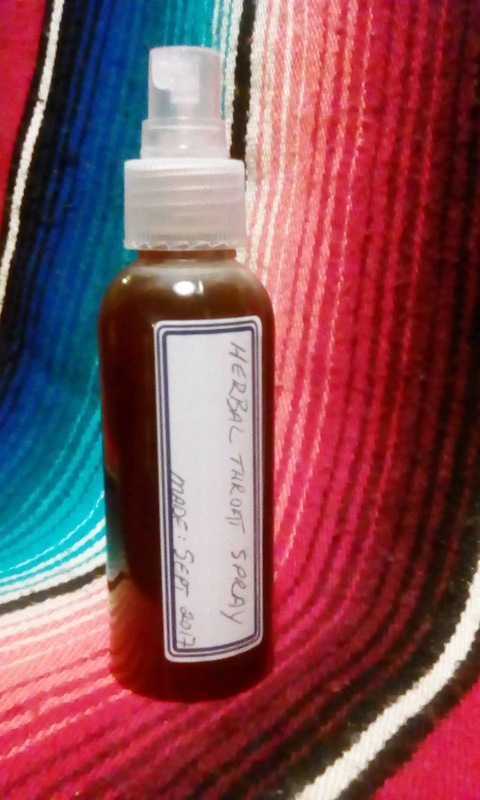 The use of herbs and gentle aromatherapy can make all the difference. Instructions for bath salts and a tea blend provided. Rita's dishes always make my mouth water, and this is no exception. That imaginary confection of our childhood is here for the making! All the reasons we should add cacao to our lives, AND some recipes, including cacao toothpaste! 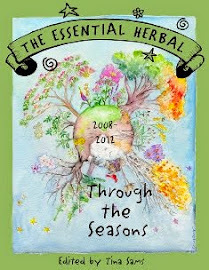 Take a moment out of your busy season to think about herbs. 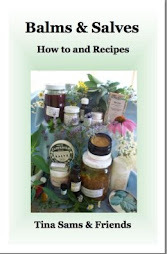 Great ideas for what to serve, how to serve it and what goes together. Getting settled and finding a whole different world of plants. This soother is great for wind burns and chapped skin of winter. Fun things to make for yourself or for others! Tub teas, potpourri, a fire spell, and brownies are all listed. Fudge TEH staff, Easy and quick, just the kind of thing memories are made with. 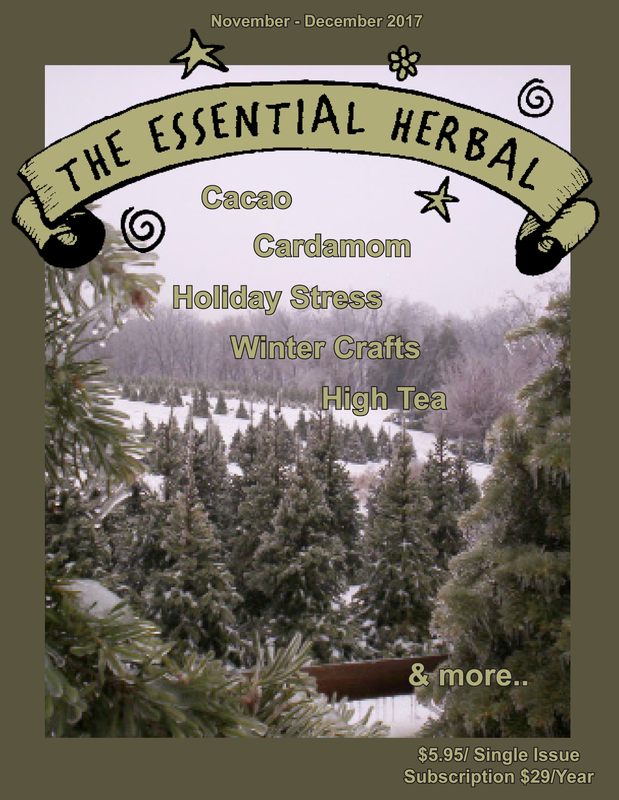 List Article, What Herb/Plant says “Winter Holidays” to You? Many different plants are mentioned along with several ideas for their use. Perfect for holiday gatherings. Fancy, but not too time-consuming. Maryanne's Turkey and Stuffing preparations. This issue will most likely sell out. Gift subscriptions are a very thoughtful present that arrives 6 times year.